Panera has a great reputation for having great, healthy options for lunch. This is true, to a certain extent. Panera is not a restaurant that you just walk into, can pick anything off the menu, and feel great about your food choice. 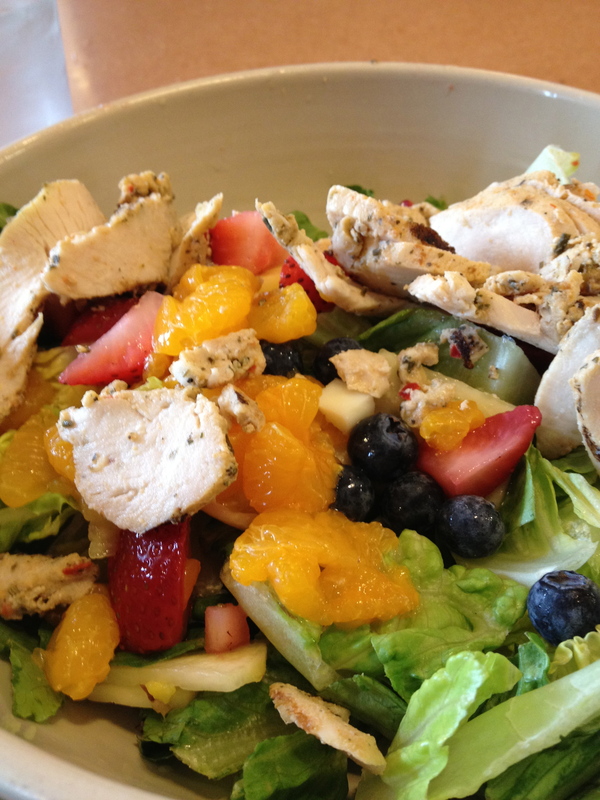 There are some great choices in Panera, but there are also some HUGE traps that you can fall into to give you that false sense of “I just had such a healthy lunch!” So here is a break down of what to look for, and what to avoid on that massive, delicious looking menu. My go to: I LOVE the Panini’s. There is nothing like a hot, melted tomato, mozzarella and pesto Panini. One of those TO GO please. And can you sub the chips for a baguette?? That delicious sandwich ran me up a solid 900 plus calories! Seriously?! I still can’t even get that through my head. You are better off going with a Big Mac, with large fries. At least you know you are eating something terrible. Just to mix it up, I would opt for the Turkey Sierra. Turkey is healthy. People always say that you should opt for turkey or chicken. Absolutely NOT. For just the sandwich, JUST the sandwich, 920 calories. OUCH. Don’t even touch that soda or those tantalizing chips. You just ate half your day of calories in a single sandwich and the worst part, you thought it was healthy. Now, as you are ordering, you are slammed in the face with the smell of the chocolate chip cookies, the pastries, the danishes and oh wow, maybe just a crumb cake. I earned it. WRONG. There isn’t a single cookie that won’t get you starting your munchies off with around 400 calories. ENOUGH of the DOWNERS, YOU GET THE POINT HERE. So now you ask, WHAT CAN I EAT? Don’t get me wrong, there are some great choices at Panera. You just need to look for them. Be smart about it, and KNOW what you are ordering. That’s the key. My NEW GO TO: You Pick 2. BBQ Chicken Salad with Chicken Noodle Soup. You hit all of the major food groups, and don’t go over board on calories. This is a truly healthy meal. If you look at the menu at the ½ meal options, you are in a good place. I am very much a fan of this option. It allows you to mix up with a half a sandwich, salad, Panini, soup etc and choose options that will round out your meal without killing the idea that you want to eat healthy. Just bear in mind, that some of the half sandwiches are just that, half as bad as the whole sandwich. Many of the paninis carry all of the calories that you need in a day in that one half you are eating. Its all the cheese and butter that they cram into those things. Just be informed that the Panini is not your healthy friend. It is a splurge. The Roasted Turkey BLT would be a great option for a half sandwich that would not top out your meal. The Café Sandwiches, all great choices. Half sandwiches that is. Just look at what you are eating and be aware of what you are putting into your mouth. The delicious Mac n Cheese. Infamous and just so cheesy. Don’t do it. No one ever has just the Mac and Cheese. And if you do, WOW. The small cup, 490 calories. And not only is it just 490 calories, you just ate 30 grams of fat, 37 Carbs, and 1240 mg of sodium. To break it down, there is nothing good in there for you! You don’t even want to know what the large would be. Our precious Baguette. Panera is nothing without that unbelievable chunk of bread that comes with every order. This is not as bad as you may think. Don’t feel bad about consuming this delectable slice of bread. It is 180 calories, but in the scheme of bread vs calories, you are in not such a bad spot. The thing that will get most people is that this 180 calories is something that you need to calculate into you meal. You are eating it, so it does count. If you are dying for that chunk of bread, which most of us are, try getting a soup to dip it in, and to balance out that meal for you. You can’t just have bread after all! Get some veggies in there! Broccoli Cheddar YUM. You want it. Get it. But that is the meal. This is a splurge. A great one, but everyone knows this isn’t the best choice. I don’t need to tell you that. All things considered, the portion size, 1 ½ cups, will only dig you in 300 calories. And it makes you say MmMmMm. All cream based soups aren’t the best for you. Steer clear of those in general. Generally, this will get you towards a lower fat, lower calorie and higher nutritional value. Just take a look at the nutritional information that I posted from the Panera Website and you will have all the information you need to make those great decisions. And if all else fails, shoot Sizzle Eats an email and we can answer any of your questions! Happy Eating!